Chelsea equalled a club-record run of 11 consecutive league victories with a 1-0 win at Crystal Palace that strengthened their lead in the Premier League table. Exactly a year on from sacking Jose Mourinho for overseeing such a poor defence of their title, the Blues went nine points clear of closest challengers Liverpool and Arsenal with a goal from the rejuvenated Diego Costa. Liverpool and Arsenal retain a game in hand on Antonio Conte's impressive team, but they will regardless be top at Christmas and will likely remain there heading into 2017. Chelsea last won 11 games in succession when Carlo Ancelotti's team in the 2009/10 season continued the fine form produced under Guus Hiddink in their final league fixtures of 2008/09. Perhaps more importantly, they also improved on the 10 straight wins achieved in 2005/06 under Mourinho by a team widely considered their greatest ever. Yet for a side in such irrepressible form and with so few distractions from their pursuit of the title, Chelsea seemed surprisingly short of inspiration throughout much of the first half. Palace's impressive organisation had restricted their creativity and the ability of wing-backs Victor Moses and Marcos Alonso to stretch play, ensuring that before the 36th minute they had offered little. Even then, after the classiest of touches from the fit-again Hazard allowed them to break, a poor pass from Alonso when well-placed to put Willian through on goal allowed Jason Puncheon to intercept and clear. Shortly afterwards Palace's James McArthur headed wide from Martin Kelly's cross, and Puncheon curled a free-kick just over the crossbar, but a goal appeared no likelier to follow. It was in the 43rd minute when, with little obvious threat, Hazard's pass played Cesar Azpilicueta into space on the right wing, and from there the Spaniard curled a superb cross towards Costa. Under little pressure from Scott Dann - the defender's uncertainty appeared to owe much to Hennessey's poor positioning - the striker then casually headed his 13th league goal of the season over the goalkeeper and into the back of the net. Palace's results have been so poor - they have won just one of their past 10 - the suspicion was their confidence would drop and that Chelsea had already done enough for three points. 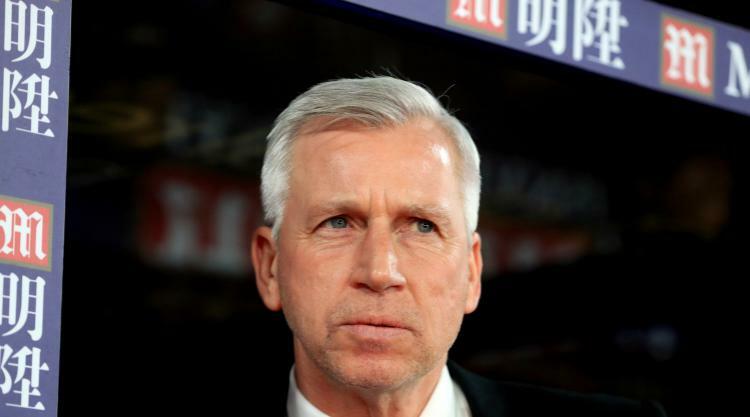 Pressure has grown on Alan Pardew's position, but even as Chelsea came close to a second goal with two strikes from Alonso and further efforts from substitute Cesc Fabregas and N'Golo Kante, there was little question Palace were playing for their manager. A second goal was not forthcoming but it was never truly needed. Palace's eighth defeat from their past 10 leaves them worryingly close to the bottom of the table, though perhaps against any other team than Chelsea they would have avoided defeat.